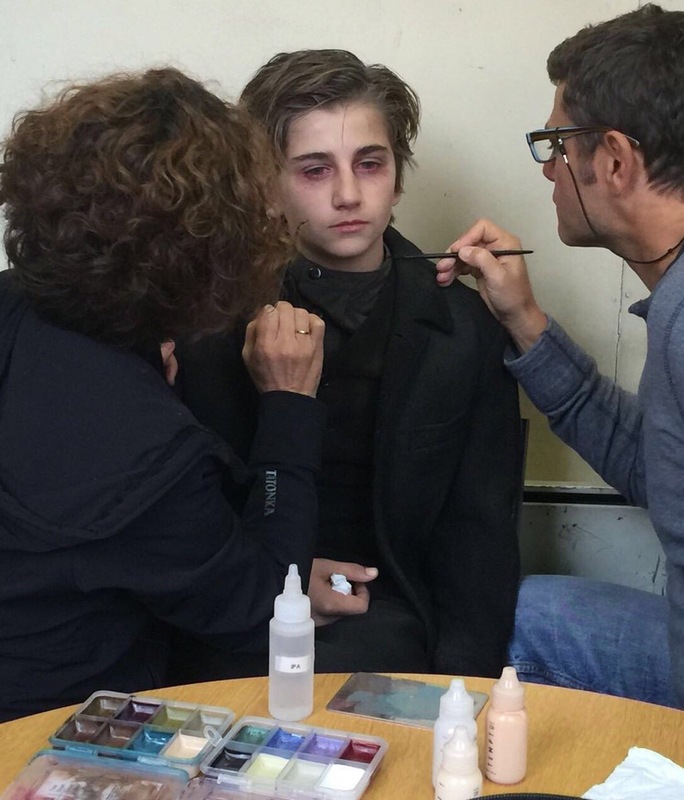 Young, good-looking, multi-talented and an immensely promising actor, Sebastian Croft has made a name for himself among Penny Dreadful fans as “Creepy Vampire Boy” after his season 3 addition as The Boy Familiar. With 2016 slated to be a breakout year for Sebastian with his appearances on Penny Dreadful, ITV and FOX’s Houdini and Doyle and Game of Thrones as the Young Ned Stark, he will next be seen in Stephen Fry’s The Hippopotamus and Martha Coolidge’s Music, War and Love. We caught up with Sebastian for his first ever formal interview as he prepares for his first ever Shakespeare play King John as Prince Arthur at the Rose Theatre in Kingston, to talk about working on Penny Dreadful, observing and working with Eva Green and his hopes and dreams for his young career. Your first professional role as an actor was in the UK National Tour of ‘Chitty Chitty Bang Bang’ (2009) as Toby, at the young age of eight. How early on did you decide that you want to perform? What drew you to acting in musical theatre, and how did you get your first big break? I was actually 7 when I started in ‘Chitty Chitty Bang Bang’! Apparently my parents say when I was very young I used to love doing little shows, magic tricks and dressing up in costumes. I started going to Stagecoach when I was 6 and from there my lovely teacher Julia Howson gave me the chance to audition for Chitty and so I was cast in my first professional production! I knew from that first show that I wanted to keep performing, I loved it so much. It’s difficult to say what my first ‘big break’ was, as every new job I get I feel is my big break. I got cast in Penny Dreadful and Game of Thrones around the same time last year and that was a major shift that I had been working towards for some time. Musical Theatre is a great way to start as a child actor, as it gives you an excellent grounding in all three disciplines. It wasn’t a game play at the time, but I am so glad I had have that early experience. But I knew a couple of years ago that I wanted to head towards film and TV and was incredibly lucky to be spotted by Curtis Brown (now my agents) who really helped me transition into TV and film roles from early 2015 onwards. You have an established career as a theatrical actor on the British stage. 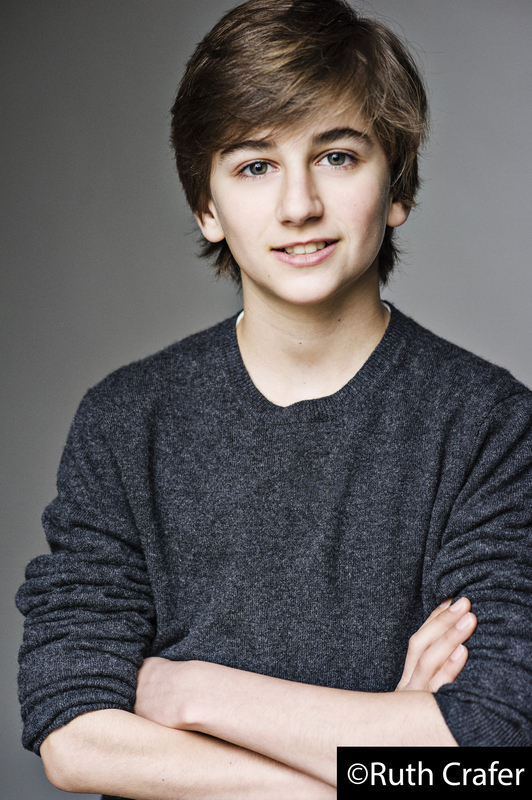 From Gavroche in ‘Les Miserables’ in 2011, to touring the UK in the title role of ‘Oliver!’ for Cameron Mackintosh, to the Royal Shakespeare Company’s production of ‘Matilda The Musical’ in London’s West End. This past year, you portrayed the title role in the musical version of ‘The Secret Diary of Adrian Mole Aged 13 ¾” at the Leicester Curve! What is your favorite aspect of being in professional theatre? It’s hard to pinpoint, but I really like trying to figure out people and situations. I am told I have a high EQ which means I can read emotions well, and I like the puzzle of figuring out why people are the way they are and do the things they do. So I think being able to portray characters through acting feels like a natural thing to do for me, if that makes sense? I really love the roles where I can help originate a part, and have some input into building the character. This was really the case on Adrian Mole. It was a brand new musical, where all the lead roles were played by teenagers, and we were working very closely with the writers and directors. They allowed us to contribute a lot to developing our charaters. There was something really magical about that show, and we have all remained great friends since. I am back in theatre at the moment working on my first ever Shakespeare play, King John. It’s one of the lesser known Shakespeare plays but Arthur (my character) has some amazing scenes. It’s being directed by Sir Trevor Nunn who is one of the best Shakespeare directors of all time. I am just soaking up every bit of knowledge I can from him and the other incredible actors I am working with. It truly is a masterclass and I feel very privileged. Who do you look up to as a performer? Is there anyone that inspires your work or someone that you’d like to emulate? So so many I don’t know where to start! I have recently started watching some of Leonardo Di Caprio’s early work. I am interested to see young actors and how they have developed over time. Christian Bale in Empire of the Sun is another performance I have watched over and over. As a child actor you also really notice the adults you work with who are generous with their time and support you along the way. Norm Lewis was very kind when I worked on Les Mis. He made time to give me some great feedback and encouragement. Also a fantastic actor named Paul Chahidi who I met via my old school has been really supportive even spending time helping me get my head around Iambic Pentameter for my recent King John audition! Michael Xavier is currently in Sunset Boulevard with Glenn Close and is one of the founders of West End Masterclass. He is such a gentleman. I hope I am as gracious as him as an adult actor. Now, let’s talk Penny Dreadful. Were you aware of the show before you were cast in it? How was the audition process? Funnily enough, just before my casting call came in, a good friend of my Dad’s had been raving to him about PD, and saying we must watch it, but I hadn’t actually seen it. When we got the script for the first audition, my parents were warned that it was pretty gory and asked if they were OK with that. My parents are pretty cool and I have got the difference between real life and acting from a young age so we went ahead. I went into Sam Mendes’ office in Covent Garden for the audition and was asked to repeat the scene in several different ways by the director. This was filmed and then went off to be viewed by lots of the team including John Logan the writer. 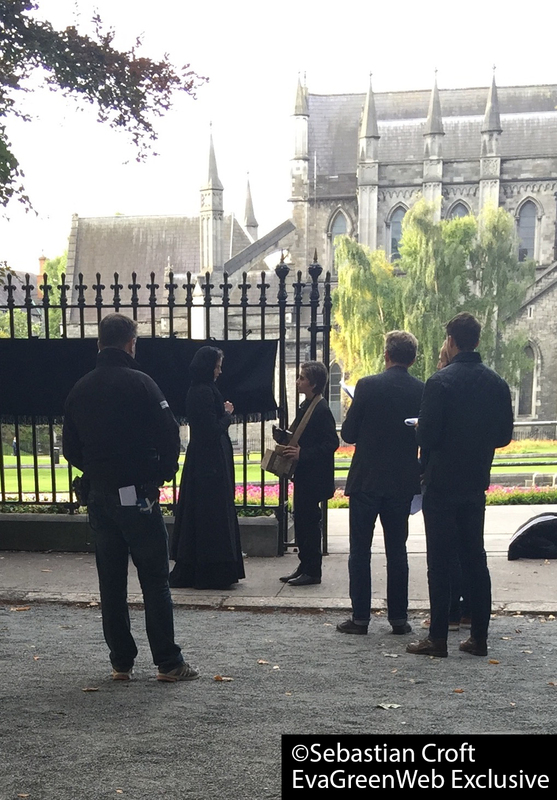 A couple of weeks later, I was told I had a part in Penny Dreadful but they were not sure exactly what and that I had to fly out to Dublin to meet with John Logan. It was not until some time later that my part was confirmed as I think John was still writing Season Three at the time. Can you briefly describe and explain who your character is in Penny Dreadful? I play a Boy Familiar. I work closely with the Lead Familiar who is played by Jack Greenlees. I tried to play my part with a sense of innocence which I hope makes him all the more sinister. That’s about as much as I can say for now! Have you ever worked within the gothic/Victorian era genre before? Did you have any interest in the classic horror genres – monsters, demons, literary characters such as Victor Frankenstein and Dorian Gray – before becoming involved with Penny Dreadful? To be honest, not really, but I played Oliver on tour for 18 months, and that was set in Victorian times, so it gave me an understanding of how much poverty there was and how some poor children had to fend for themselves with a lot of danger and evil forces around them. Oliver is vulnerable but shows incredible courage too. Definitely things to draw on. Penny Dreadful is not your first foray into big budget cable television. You also have been in Game of Thrones as Young Ned Stark. How have your experiences been acting for the screen compare to (live) acting for the stage? Do you have a preference between screen and stage acting? Stage and screen are very similar and very different in many ways. Acting is acting, but on stage everything has to be a bit bigger. You also get to feed off the audience, which can be great if they are responsive and tough if they are not! I really hope to be able to continue to do both, though at the moment I would love to get more film and TV work under my belt, and would like to see that as my future, if I am lucky enough to keep getting work! 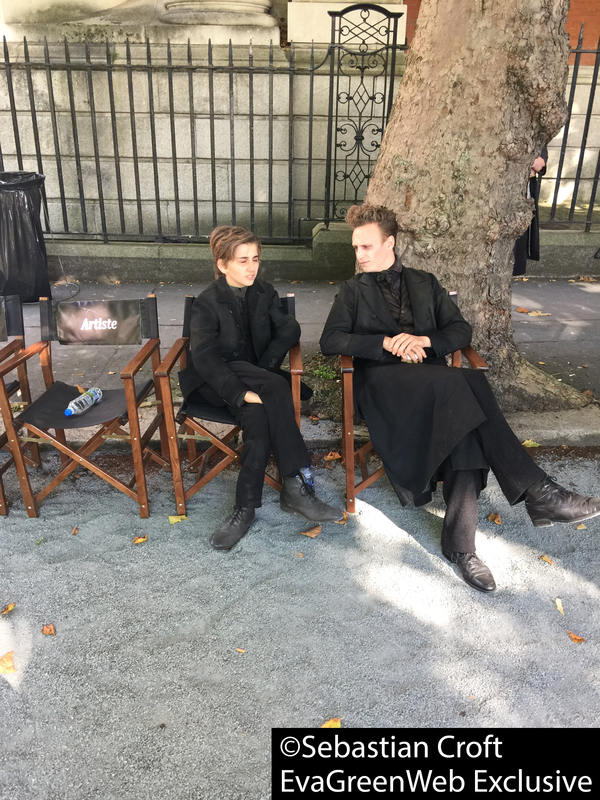 The Penny Dreadful cast is huge and grows every season and a lot of them, if not all of them, have theatre backgrounds. How was it like to work with veteran professionals who have worked for decades in the business? As a fellow theatre actor, did you feel “at home” right away? Obviously I was in awe of the phenomenal talent on Penny Dreadful but everyone helped me feel at home right away. I was with Billie Piper in hair and make-up and she is just so warm and friendly. Samuel Barnett and Jack Greenlees were great fun! The whole team on set, from make-up to camera, to all the amazing people it takes to film on location like this are just the best. I didn’t realise just how many people it took behind the scenes to create magic like this, but it makes sense when you see the final product. It really is such high quality. What kind of preparation did you do for the show? Could you describe your creative process as an actor? What helps you flourish? Not sure I have a creative process yet. I am still learning so much every day but I always try and learn my lines as soon as I get a script so I can start to focus on the meaning and delivery. I also pay great attention to any feedback from the director and try to respond to the other actors around me too. And I try to stay very focused on set. Even from a young age, I was conscious that people have paid good money to see a show or film and I need to be professional. I treat the opportunities I have as a privilege and a chance for me to learn. I never ever take that for granted. You worked with Eva Green on the show. How was it like to work with her? Eva Green is such an incredible professional. It was a huge honor to work with her. She was very focused on set and made it very easy for me in my scenes with her. Her work is awesome. I am a big admirer. How could anyone not be? Casino Royale is one of my all-time favourite films. I was literally in awe! 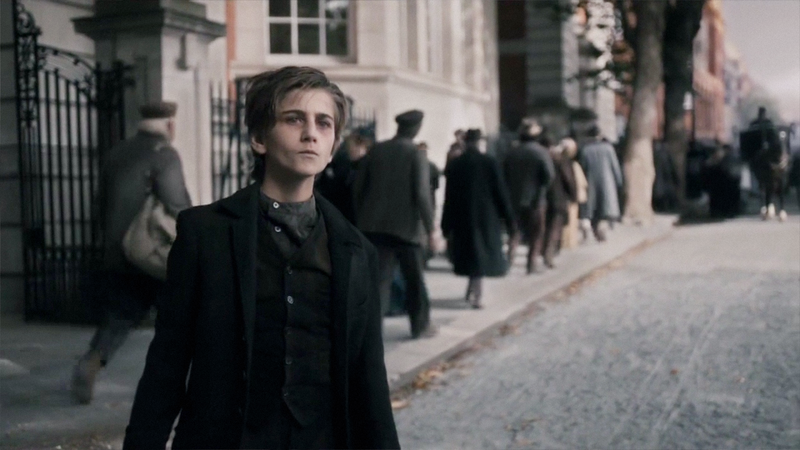 Penny Dreadful is your first time having a multiple episode arc as an actor. How has your work on the show influenced you as an actor? I filmed PD last summer and have done a couple of feature films since. It was one of my first experiences on a set but with this and Game of Thrones I have been very spoilt. The production values on both are amazing. Both are equivalent to making a feature film in terms of care and attention put in to every last detail. Any funny stories from the shooting or about the cast? When I was doing a scene with Jack Greenlees and Samuel Barnett, one of the stunt actors was crawling backwards on all fours like a crab. When the director wanted to signal for him to stop moving he shouted “cut the crab!”. Sam and I found it so funny that “cut the crab” has now become a standing joke. Is there a specific genre or someone that you particularly dream of working with in the future? Not really but I would love to keep developing and exploring the range of characters I play. PD was wonderful in allowing me to play an evil character but a three dimensional one too. When I was in theatre I played a lot of orphans, but always quite sweet natured. As I get more scripts through for older teenage boy parts, there seem to be some more complex and angst ridden roles coming up which is great! Have you been watching Penny Dreadful prior to being casted? What do you like the most about it? What’s your favorite episode (so far)? Who’s your favorite character (so far) and why? When I was auditioning for PD, I bought the Season One box set. My favourite character is hard to choose but I think Victor Frankenstein is a great part, but the strong women definitely steal the show for me. What’s your dream character to play? What’s your favorite film and television show and book? Film – Bridge of Spies most recently, but Casino Royale or Usual Suspects would be my all-time classics. TV Show – Suits and The West Wing. Book – Wonder. I couldn’t say Sebastian properly when I started to talk and used to say ‘Basha’ instead, so I became known as ‘Bash’. But I really earned my nickname when I fell out of a tree when I was 7 and broke both my arms and my nose! What do you like to do when not filming or working? I love music and even though we live in a small flat, I have a piano, double bass, guitar, ukulele and bongos here, and am always playing at least one of them quite loudly! I also compose my own songs. You have two movies – The Hippopotamus (2016) and Music, War and Love (2016) – in post-production at the moment. Could you tell us more about them? Film, television and stage: which do you see yourself doing more in the future? In The Hippopotamus I play the central character in a flashback, so I only appear in one scene. However, I play a lead role in Music War and Love, which we filmed on location in Poland last year. It follows two music prodigies in the 1940s who meet as children when they are both studying in a top music conservatoire in Poland. The lead boy (me) is Polish and the lead girl (Ursula Parker) is Jewish. They get separated by the war but music plays a key part in their lives and eventually brings them back together as adults where our parts are played by Leo Suter and Adelaide Clemens. As you know, I am currently doing King John at The Rose Theatre Kingston but I would definitely like to do more film and TV in the near future. Any message for aspiring child actors/actresses? Getting used to disappointment and dealing with it well is one of the best skills I have learnt. Not getting parts you really want goes with the territory so it’s something an actor has to deal with. As soon as I have been to a casting I throw the script away and try to forget about it. There’s nothing worse than waiting for news on a part, so I always work hard to prepare and do the best job I possibly can at a casting, and then immediately after I try to focus on the next thing rather than dwelling on the past. Ripping the script up after a casting has become a ritual to symbolise that. If I did the best job I could in a casting room, the decisions being made after that are by that point out of my control so there is little sense in worrying. That would be my best advice to any child wanting to act, oh and good luck! Thank you for your time and insight, Sebastian! We wish you the very best! Thanks for asking me to take part! Follow Sebastian’s adventures on Twitter and Instagram! Fantastic job Sebastian. 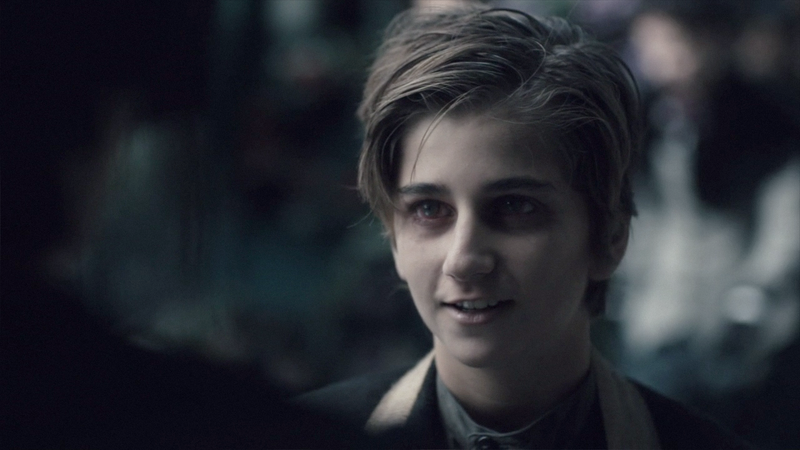 You definitely had the creepy sinister factor going everytime you were on screen as The Boy Familiar. Can’t wait to see your star rise higher and higher. So well grounded for his age. And his advice to other young actors is suitable for life in general. Stop worrying about things beyond your control, move on and be prepared for the next big thing. I hope that he goes far in his acting career, very insightful and wise. Love the nice things he said about Eva. I would be in awe of her as well. I hope that he goes far in his acting career, very insightful and wise. Love the nice things he said about Eva. I would be in awe of her as well. I hope he has more scenes with Eva! !